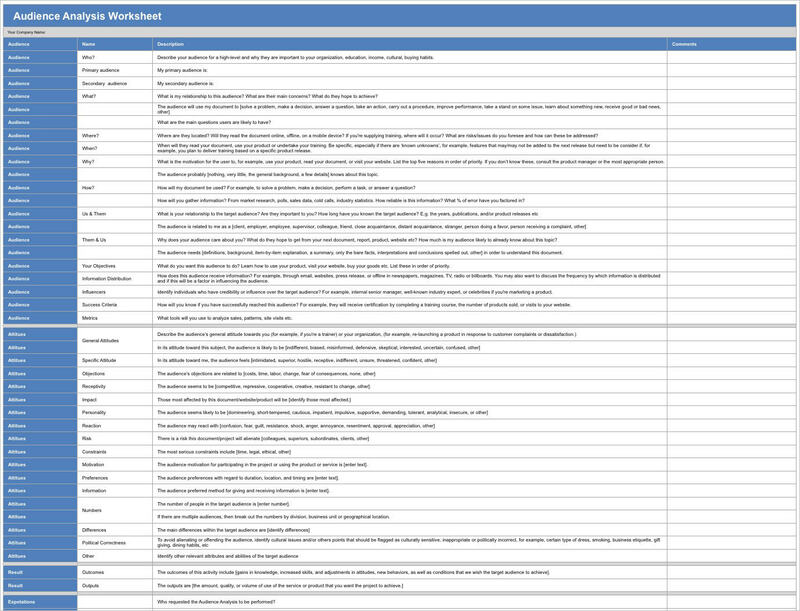 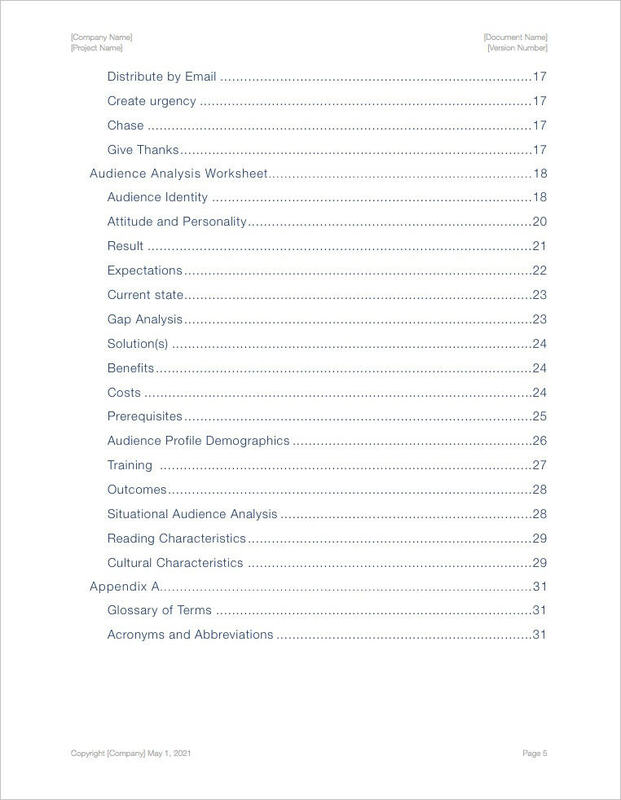 The template includes a 30 page iWork Pages template and a Numbers spreadsheet with 130 entries. 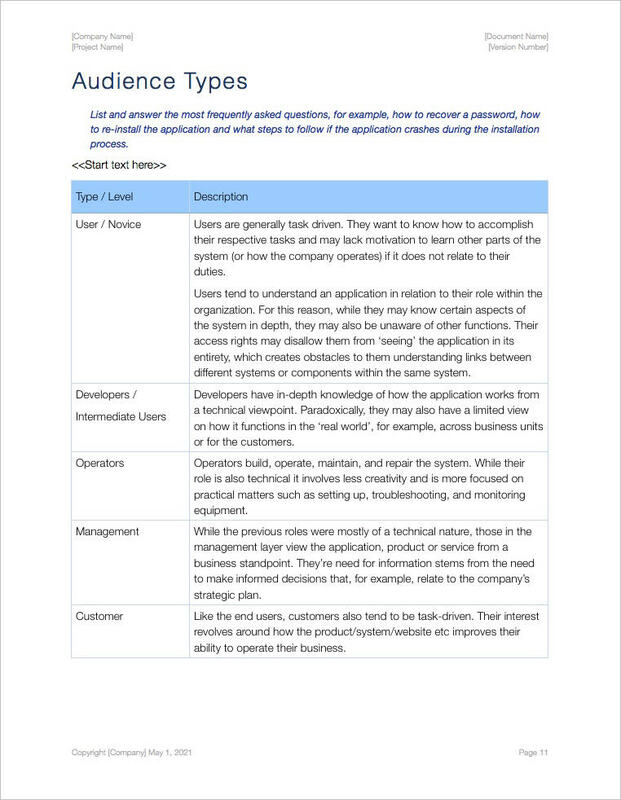 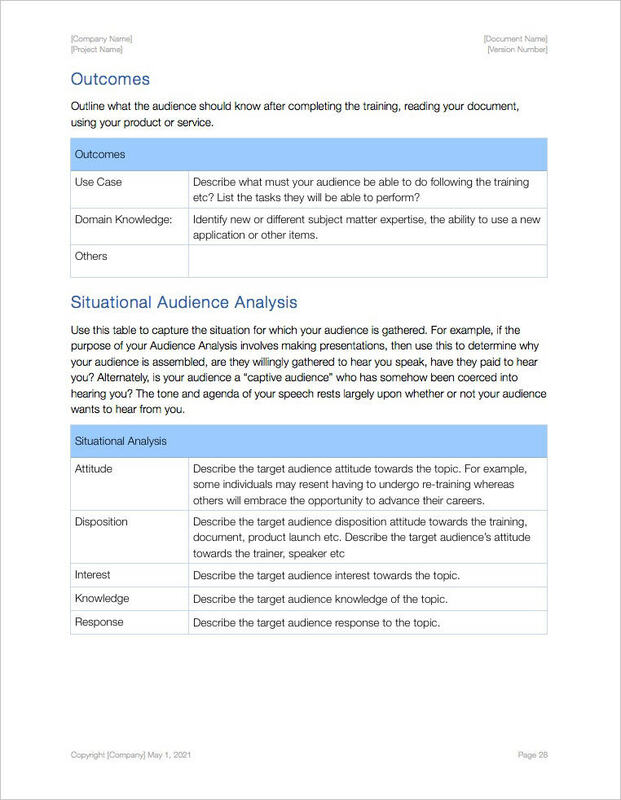 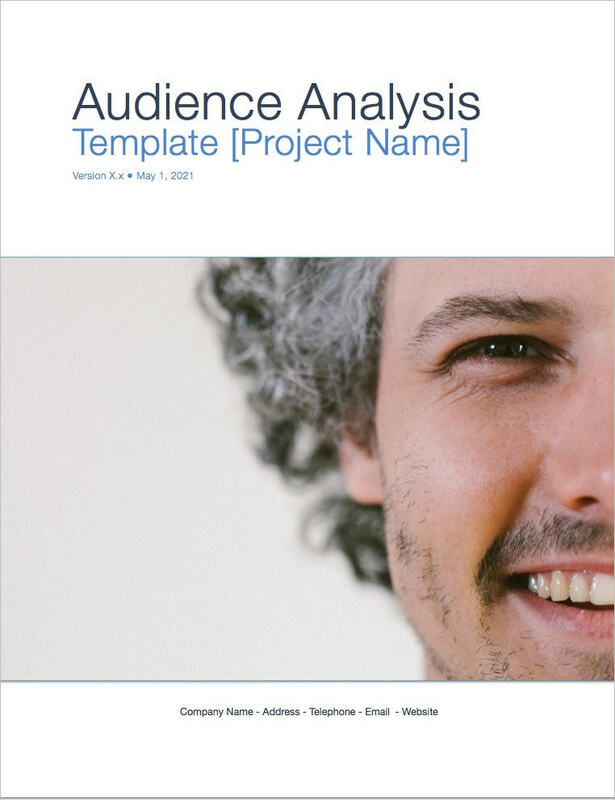 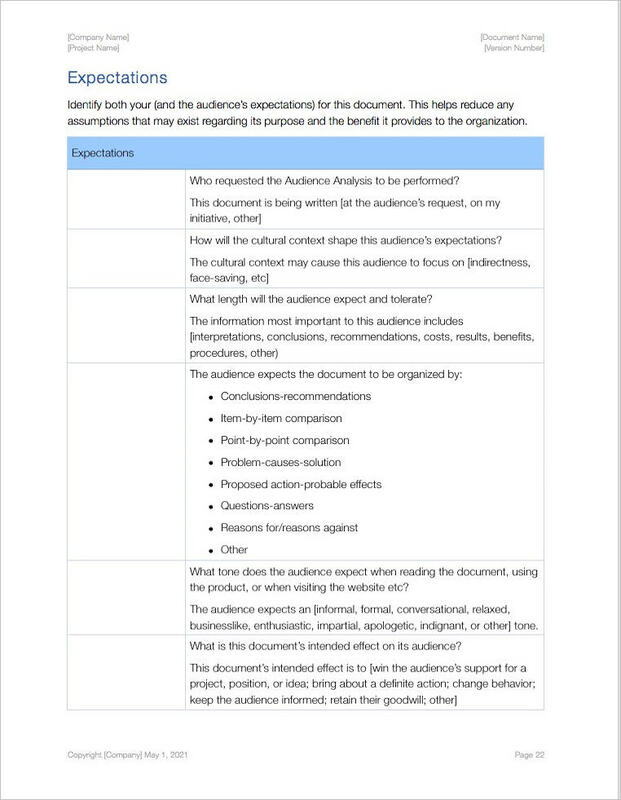 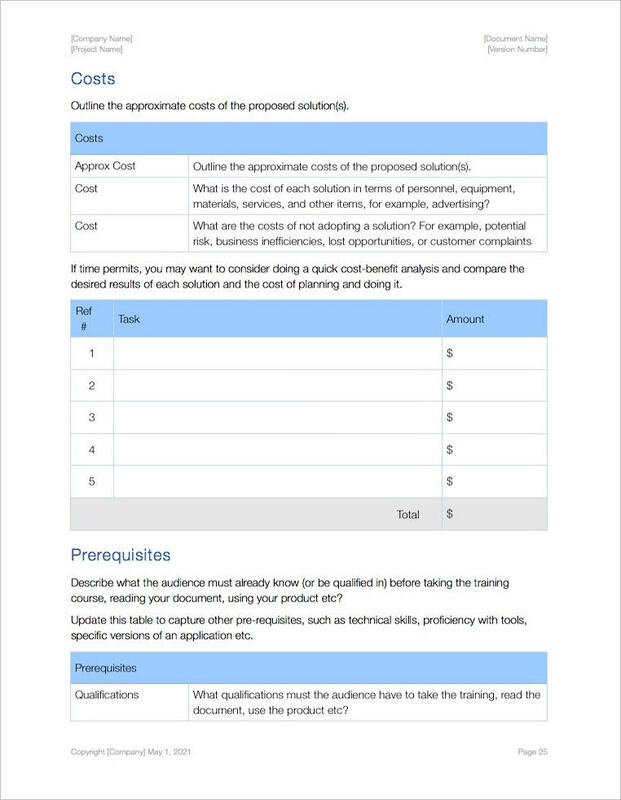 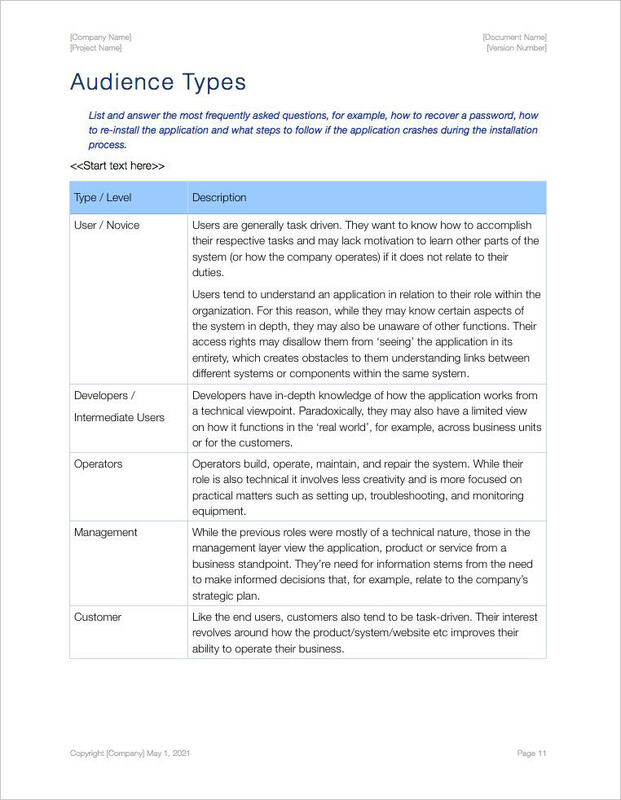 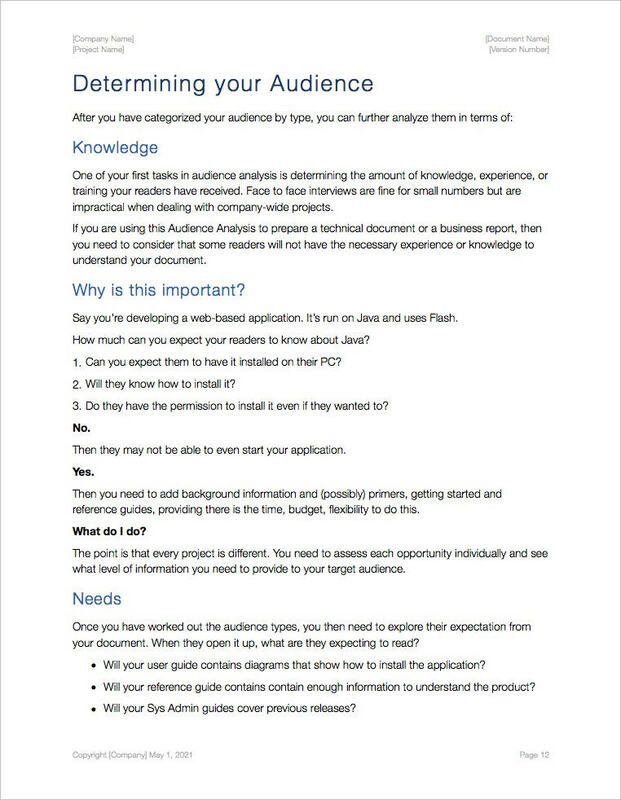 Use this template to learn more about the target audience for your projects and what they want to achieve, for example, read your user guide, visit your website or buy your product. 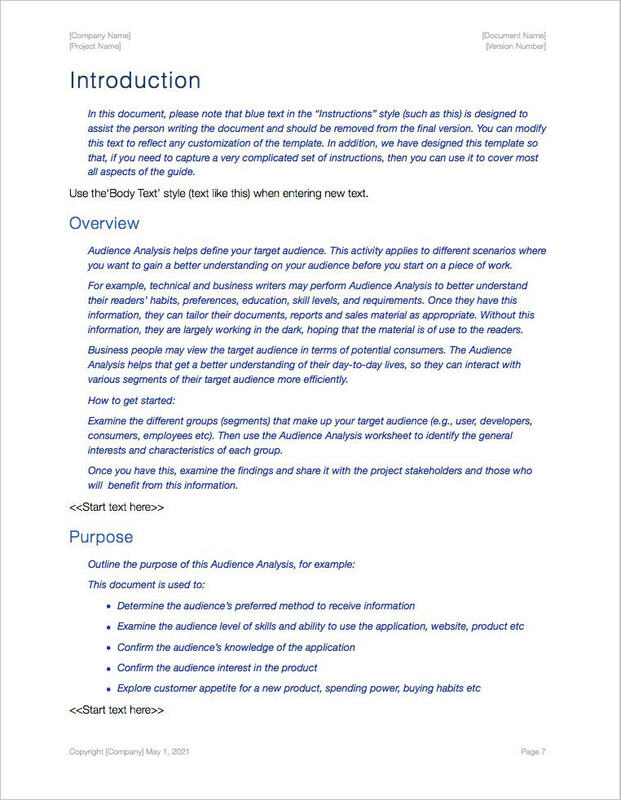 Identify how your audience benefits from your product, service, or project. 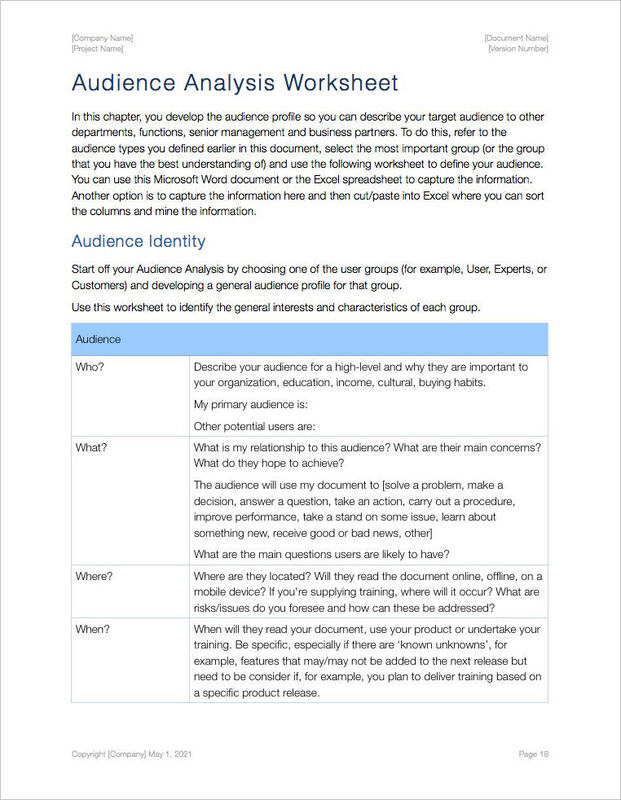 Define a target audience profile (TAP) of your business.